Liverpool is a historic city in England less than an hour train ride from Manchester. In the past, Liverpool has thrived as a port city, migration hub, and of course, as home to the Beatles. Once known as the “New York of England,” Liverpool is a unique, vibrant, and fun city to visit in England. For those who find themselves in the maritime city, here are some of the top things to do in Liverpool. The Albert Dock is a place packed with history. Upon its initial build, its open yet secure design made it one of the most advanced docks in the world. It quickly became a popular shipping and storage facility for goods like cotton, brandy, tobacco, and sugar. During the second world war the docks were used as a base for the British Atlantic fleet. Today, the docks are a major tourist attraction and part of a UNESCO World Heritage Site. This is the museum for people who don’t like museums. Not only is it free to enter, but the entire museum is interactive. Walk through a variety of exhibits and learn about the war migration, the Titanic, and more through sights, sounds, and experiences. While mini sculptures of the superlambanana can be found throughout the city in gift shops, there is only one that warrants a photo. 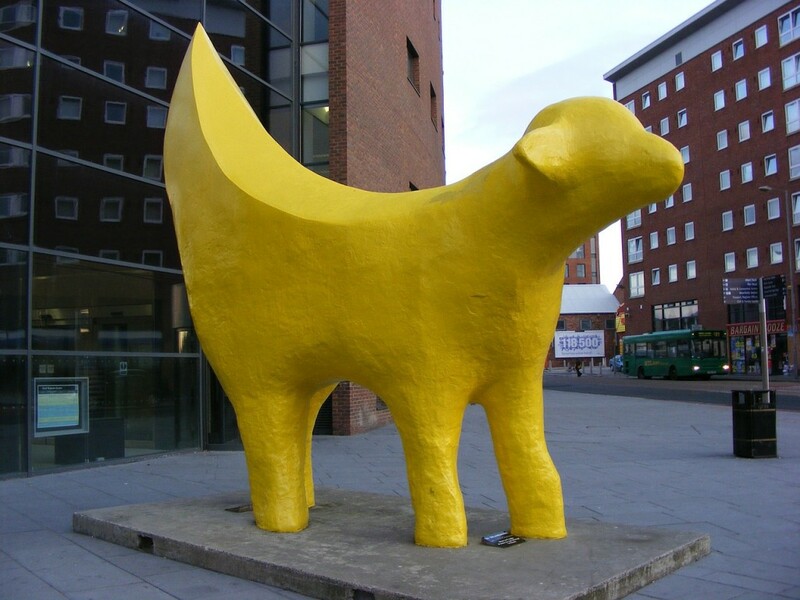 Right outside the John Moores University stands the 8-ton, 17-foot tall sculpture of a cross between lamb and banana. The sculpture was made in 1998 as a tribute to the history of Liverpool having sheep and bananas as common cargo. Utility is a must-stop shop at Liverpool ONE for souvenirs. Anything Liverpool related can be found here, and it’s a great place to poke around even for window shoppers. From mini superlambananas to spunky cards and guidebooks on how to ‘speak Liverpool’, Utility is a shop that will bring out laughs from those who go and jealousy from those who don’t get souvenirs. One of the top things to do in Liverpool is to discover remnants of The Beatles throughout the city. This museum has an entry price of £15 per person, but is the place to go if you want to know everything about the Beatles. It’s easy to see the impact The Beatles had on Liverpool by just walking around. From street musicians to endless music bars, music is the soul of the city. 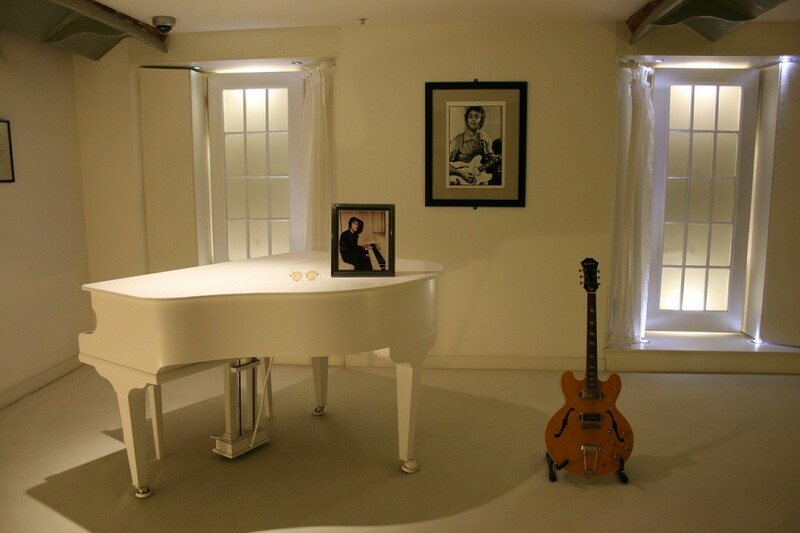 The Beatles Story Museum is a tribute to the 1960’s group and is a good place to start exploring Liverpool. If you want more Beatles, or choose to opt for a home tour instead of a museum tour, visitors can buy tickets to see Paul McCartney and John Lennon’s childhood homes. Literally walk in the footsteps of the Beatles homes and see where it all began as well as places that The Beatles frequented. While there are tons of things to do in Liverpool itself, there are even more options just outside the city. 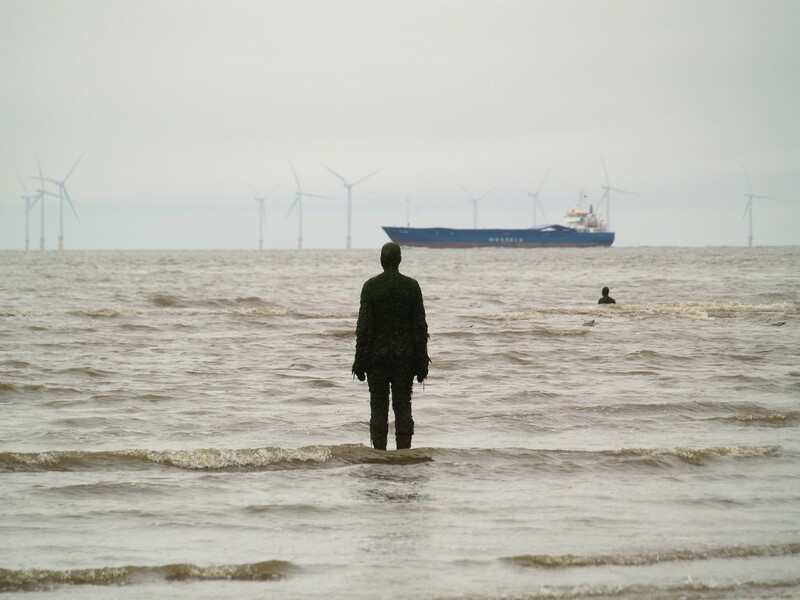 For those who want to get a bit further out of town, head to Crosby Beach. Located just north of Liverpool, the beach is a great place to relax from the city life. Visitors can also walk along the 22-mile Coastal Path and admire views of the sea. Ship and Mitre is a local favorite for a number of reasons. Not only do they have over a hundred different beers on hand from around the world, but they also host frequent trivia nights, gin nights, and Sci-Bar, a gathering to talk about science – in a bar. Stop by on an event night for a great time, or swing by the bottle shop to pick up a hand chosen case of beer to take home. Who doesn’t love a good view? The Panoramic 34 Restaurant was named correctly, and has walls of windows around the entire top restaurant floor. It’s a great place to get an afternoon tea, have an evening out, or just head up for a drink and some fantastic views of Liverpool. Liverpool ONE is a new development in the center of the city. Packed with shops, restaurants, parks, and apartments, Liverpool ONE has brought new life into the city and is a fun place to spend a few hours walking around or duck inside when the inevitable English rain comes. There are libraries, and then there’s the Liverpool Central Library. 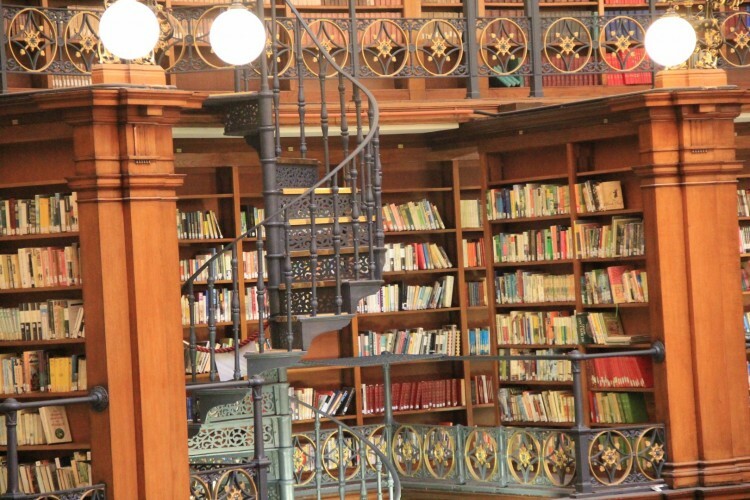 As the largest library in Liverpool, the Central Library has everything book lovers could want. Recently remodeled, there is wifi throughout the building as well as dozens of computers and iPads for use. There are several floors of neatly organized books, a children’s section, study area, and even a soundproof gaming room. Stop by for a good read, a cup of coffee, or a quiet afternoon. The best thing about the Cavern Club is that it’s open almost all the time. Live music is performed day and night, making it a great place to go out for drinks or to take a break from sight-seeing for an hour or two. 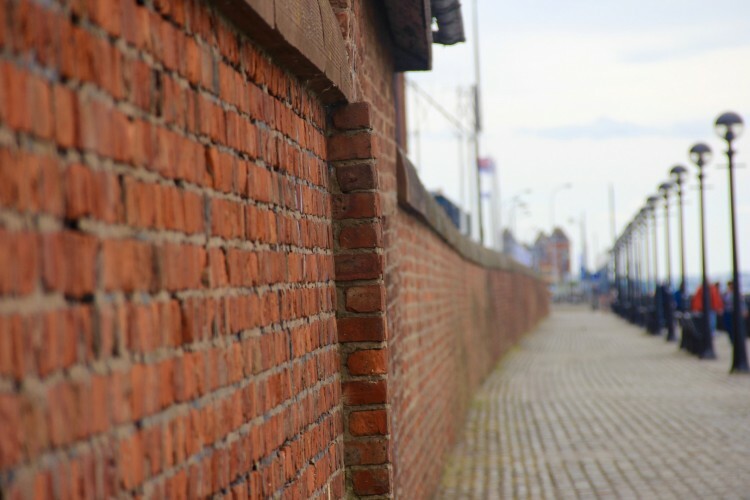 With brick cellars and 1960’s decor, the Cavern Club is intimately Liverpool and has a history of being one of the most publicized pop music venues in the world. There are so many more things to do in Liverpool that are not on this list, but half the fun is exploring a city on your own. Whether you’re commuting as a day trip from Manchester or staying in town for a vacation, Liverpool is a fun and historic city to explore. 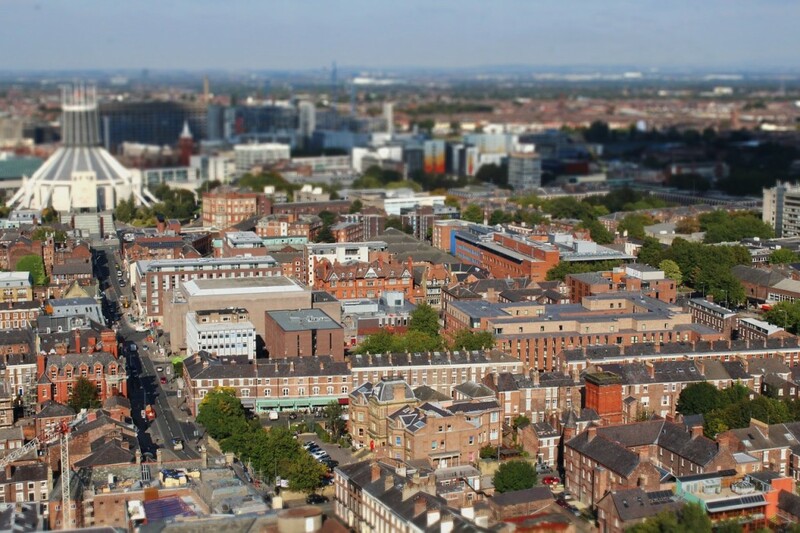 For more information, photos, things to do, and our thoughts about Liverpool, click here.